Reunions are not just fun events but are journeys that take you back in time, cherishing memories and moments that made you what you are and where you have reached in life. I felt so fortunate to have finally made it to the Taj Reunion. 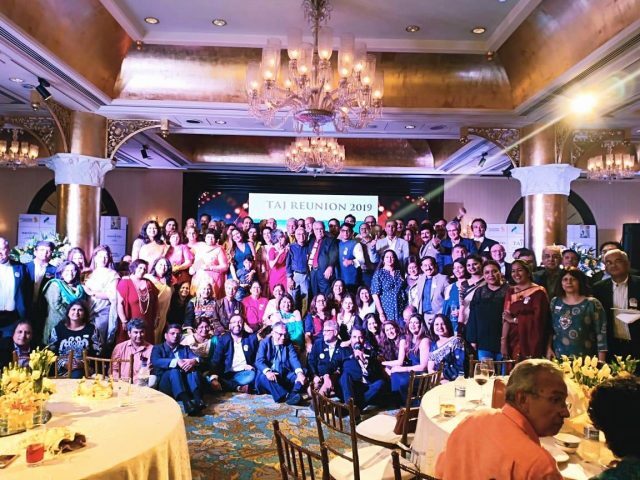 I missed the first 3 though I wanted to be there but this time I so very badly wanted to be there and I made it to the 4th Taj Reunion at the iconic Taj Mahal Palace and Tower. 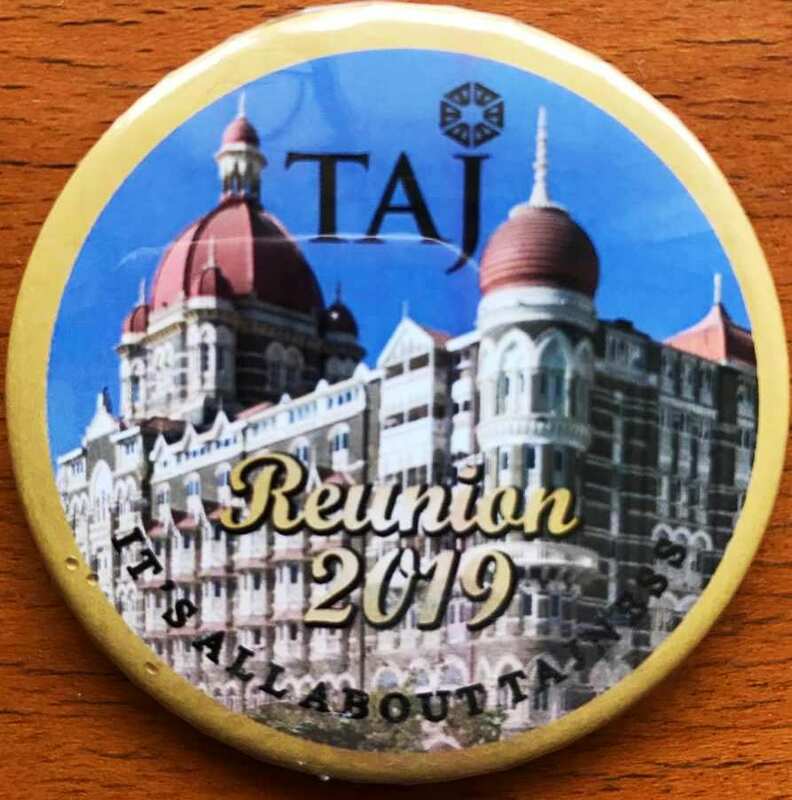 The Taj Reunion is the brainchild of the extremely enterprising, talented and very social Mr. Romi Furtado and 4 years have seen the wonders he has been able to weave with his magic wand. He has given cherished memories to all ex Taj people. It is said that you can take a person out of Taj but you can never take Taj out of him. The first Reunion happened at Taj Lands End, second at the Vivanta by Taj (Taj President) third one was at the Taj Santa Cruz and this time it was at the Taj Mahal. They are attended by Taj stalwarts from around the country, a few of them even travelling from overseas to be at the much awaited do. Time endears but cannot fade the memories that friends have made; the Taj Reunion rekindles those very memories. The fourth reunion was planned for the 13th of April 2019. An auspicious day from many accounts, even if it wasn’t for those reasons all of us revisiting our temple would have made it more than auspicious. She is the Taj – as we perceive our shrine welcomes her children back with open arms, a warm heart and inimitable smile. Taj is not just a building set in stone and mortar but it represents the soul of generations of staff who were not just employees but devotees. It was the time to visit the place that nurtured us and our dreams. The planning started well in advance, with the activities on the whatsapp group that has become such an incredible platform; no wonder Mark Zuckerberg bought it paying a fortune! New members were added. An admin team was drawn, a group of 6 volunteers with Mr. Furtado and I was one of them. Just when I thought I would help with the preps I receive a letter that put me in charge of an important assignment that needed a lot of my time. This is the busy time for university professors; I am that and a hotel trainer too so it gets double whammy, not that I complain! I expressed the same to the admin team and was excused from the action packed role. As we entered April, activities increased in the group; the word about the reunion spread and we started updating the attendees excel sheet. Mr. Furtado keeping a good control over the activities also started sharing his Admin Speak messages sometimes videos too; that kept the tempo and took it higher with each passing day. I was more of a spectator of all the activities sitting in examinations and at times at the control room. 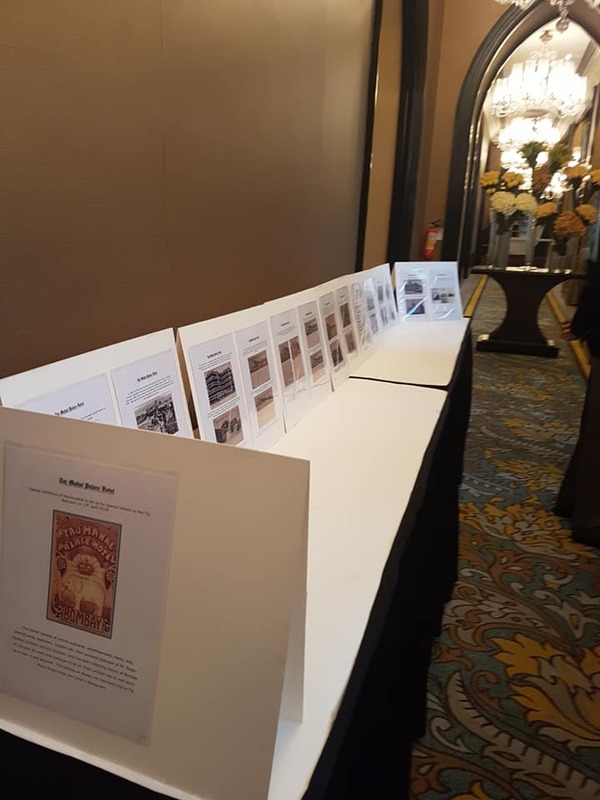 With every new name on the list of attendees, read it as stalwarts; people who made the Taj and who mentored us, I was so excited with the thought of meeting them. Say Ms. Shirin Batliwala, Chef Satish Arora, Mr. Farhat Jamal, Mr. Kuldeep Bhartee, Mr. Joe Nazareth, the Mascerhanas from Goa, Mr. Pankaj Sampat, Ms. Ashrafi Matcheswala, Ms. Suman Bakshi, Ms. Shakuntala Jha, Ms. Saraswati, Sister Ivy Fernandes, Ms. Ramola Mahajani, Chef Iranpore, Chef Daruwala, Prashant Issar, Pervin Bhasin, GM Mr. Taljinder Singh, Chef Ramu, the admin team, my seniors, juniors and even students from IHM and everyone who was going to be there. Finally it was the D day, I was fasting the Navratras and it was Navami ; the day started off with festivity at home. I wound up and then got ready to reach the Taj by 5 pm, well before the others were expected to be there; trying to do something as the admin team! The feeling was surreal and eyes went moist with a little lump in the throat this was the place where my hospitality career found its wings. I first stepped into the majestic Taj in 1995 as an intern from college and I was also a part of the campaign when Taj Hospitality was being christened as ‘She is the Taj’, I guess it was 1997, the year I joined as an employee. A team was selected from different departments for the campaign and we all had to say in unison, “We can and we will”. All that flashed back and I felt extreme gratitude for this place I call my ‘Karmabhoomi’ just like hundreds of others in the rich history of 116 years of the Tajness. Also my thoughts went to 26/ 11 when the hotel was attacked and how the employees took care of their guests risking their own lives; some laid their lives fulfilling the call of their duties. Felt immense sense of gratitude for all those heroes and how Taj made each employee a hero in his or her own right, that is what Tajness is all about. Reaching the venue met Mr. Furtado, who was in full action. The iconic Ballroom looked perfect having had a facelift, the dance floor was gone, it’s been carpeted now and the pillars have turned gold. The décor for the event was fabulous; put together by Mr. Darius. It felt like a dream to be there at that moment. The stage was set; the LCD wall was showing visuals from the previous reunions. The admin team both Zavher and Zever, Rekha and Indrani Malkani were there; Mr. Ajay Grover had to cancel his tickets at the last moment and we missed him dearly. We got on with the admin duties and then came Mr. Partha Chatterjee all the way from Kolkata. He’s the new author on the block and has written a beautiful book of memoirs called, “Through my looking glass”. A must read for all connected with the Taj, Tata’s or anyone who loves Indian history. Mr. Rajan Jayakar, Solicitor and City Historian and Curator of Exhibitions and Museums. One of the foremost collectors of antiques, artifacts and memorabilia was invited at the Reunion. A few select items out of his personal collection of Taj Memorabilia, collected over last 50 years, was displayed. Learnt of many facts and information that even we had no clue of in spite of having worked at the Taj Mahal. Ms. Indrani Malkani nee Mukherjee got made and presented the ‘ Collector item’ memento of the first Taj logo to the current GM of Taj Mahal Palace Mr. Taljinder Singh, Executive Chef Amit Chowdhury and to Mr. Romi Furtado. This memento is a limited edition and not available for purchase making it a rare item to possess. The original logo is part of Mr. Rajan Jayakar’s collections. Nimisha Iyer, too had her beautiful work of art on display. The guests started arriving – it was nostalgia overloaded! We all wore our name badges and the Reunion badges that had the beautiful Taj. They say that a smile happens in a flash, but its memory can last a lifetime and many such smiles and hugs were being exchanged. Another highlight for me was to meet the very inspirational Virali Modi, a motivational speaker, model, influencer, and disability rights activist. She has been named as one of the most influential and inspirational women of 2017 by BBC 100 Women for her work in making the Indian Railways accessible in Kerala. Virali was invited for the book launch. 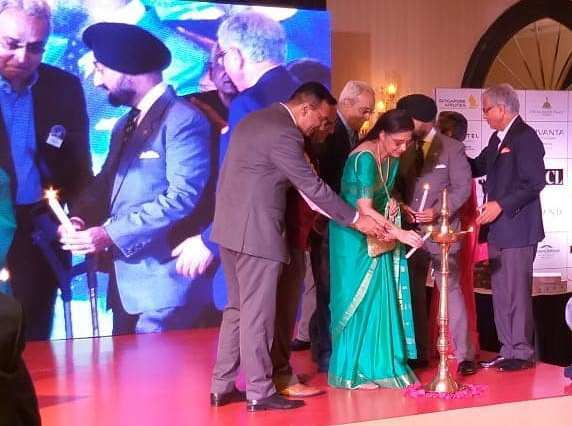 The formal program began with lighting of the lamp by the stalwarts of the Taj and then an awe-inspiring performance by Shannon and Rajeshwari, the experts in Latin American dances. Live band and electric performance by Rohan Sequeira another highlight of the evening was portraits being done by Mr. Laal young at 95 years. There was something for everyone apart from the endearing conversations and bonding with people some of whom we are meeting after decades. The bar and the buffet matched up to the expectations we had from the Taj; it was Tajness all the way. We acknowledge the gracious hospitality of Mr. Taljinder Singh and his team for the making everything superlative. Though I met a lot of people I knew, there were only a few that I had worked with. It was amazing meeting my colleague and friend Nandita Deora, Aneesha Ratra, Eliza D’souza and seniors from college Romil Ratra, Raghu Deora and Nitin Nagrale and my students Ami Rajeshwari and Sanu Samuel. It was a pleasant surprise to meet my IHM junior Sachin Maheshwari who had come from Kochi and how warmly he introduced me to his Novotel colleagues. Many of the people I met for the first time knew IWH (Indian women in Hospitality), my dream project – no wonder we say organizations and our dreams are much larger than us! It was humbling to hear such words of encouragement coming from seniors and mentors. The evening went by with great music, dancing, food, drinks, bonding and many prizes being won. There were exciting vouchers and gifts that came from many hotels and some came from the Taj stalwarts themselves such as Joe and Odette Mascarenhas had their book on culinary heritage of Goa and Nimisha Iyer gave away one of her creations to the winner. Wanted to have a chat with each and everyone present but a few hours in one evening is just too short a time and it’s difficult to meet over 200 people one on one. Some conversations have remained as anecdotes, meeting two of the service staff Mr. More and Singh who remembered me from my internship days. Mr. Raman Mehra who looked very different and Ms. Batliwala for whom the time has just stopped, she still looks the same and is equally inspirational. It was time to bid goodbyes but people were not ready to leave even past midnight; celebrating their emotional bonding with the shrine and among themselves. We all take different paths in life, but no matter where we go, we take a little of each other everywhere. A trip to nostalgia now and then is good for the spirit. May this sparkling spirit continue to be the guiding light for us all. The best antiques to collect are old friends and we look forward to the next union and for re living yet another set of memories.